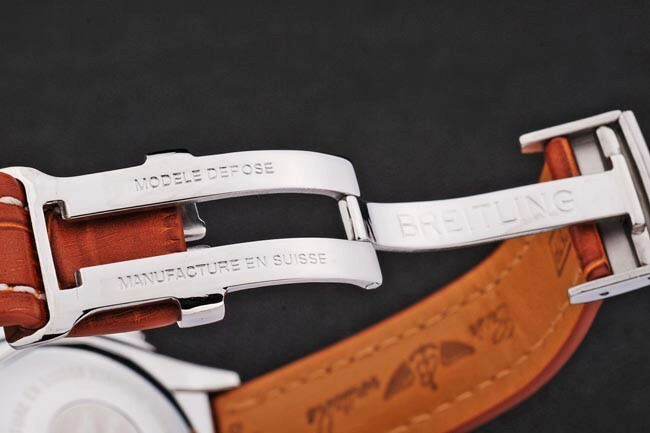 Back: Screw-back, Solid 440-grade stainless steel. 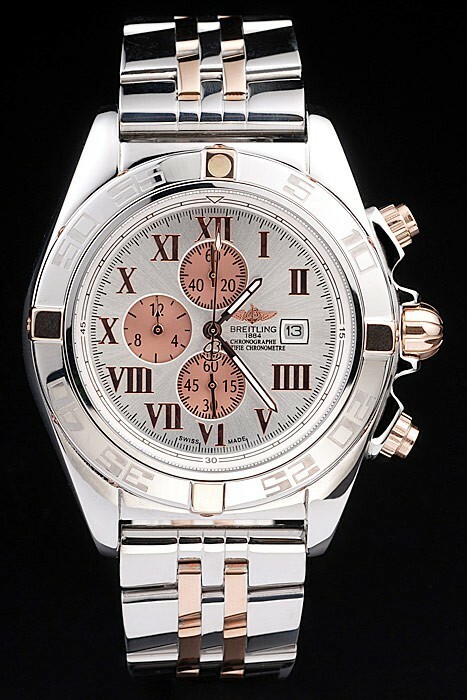 Case: Solid forged case construction, 440-grade stainless steel. 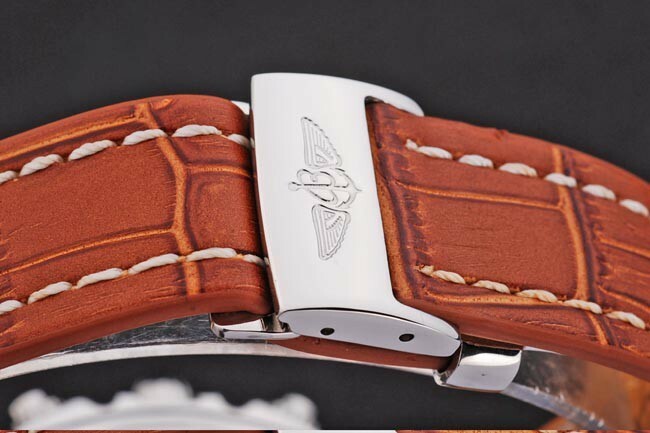 Bracelet: Russet red high-grade leather in a crocodile pattern, with heavy white cotton stitching. 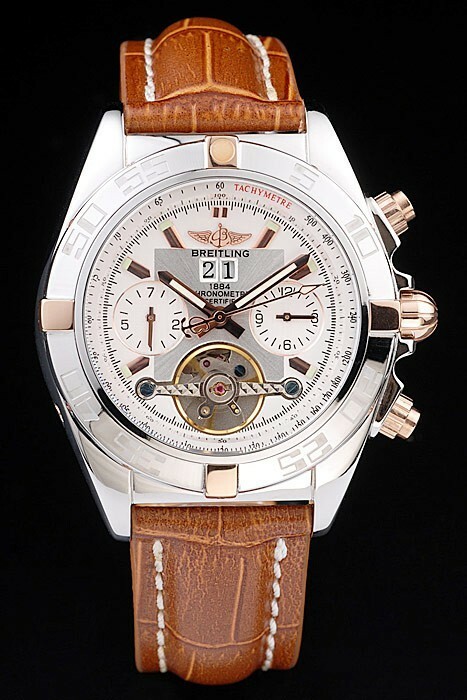 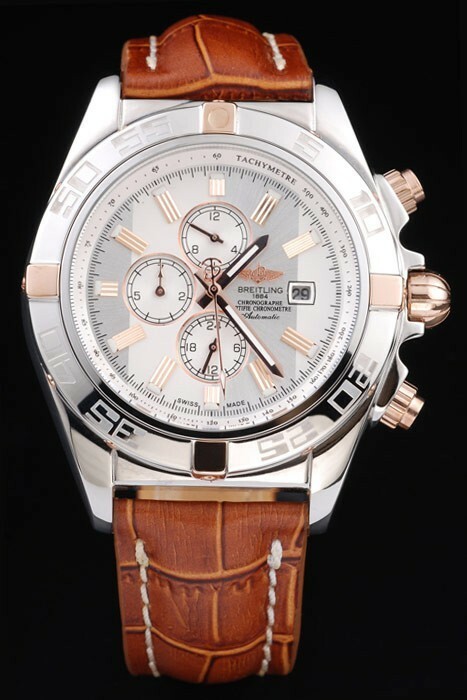 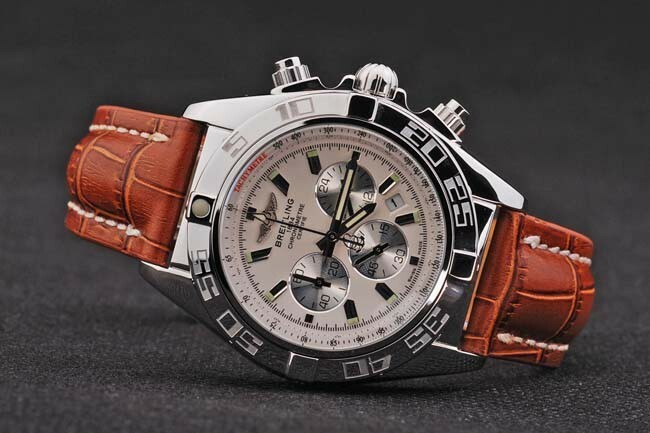 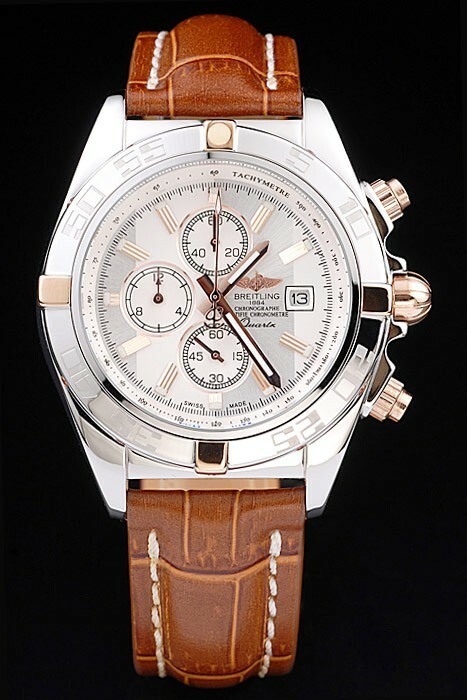 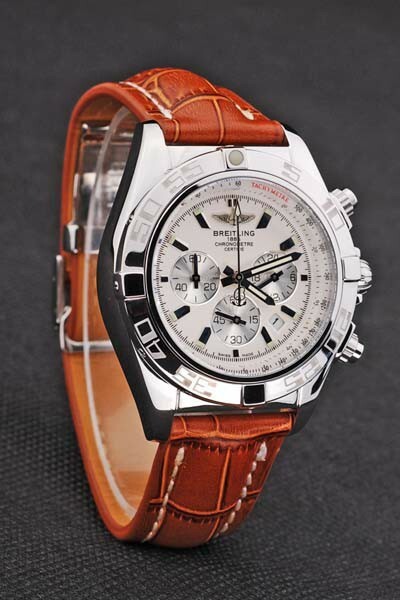 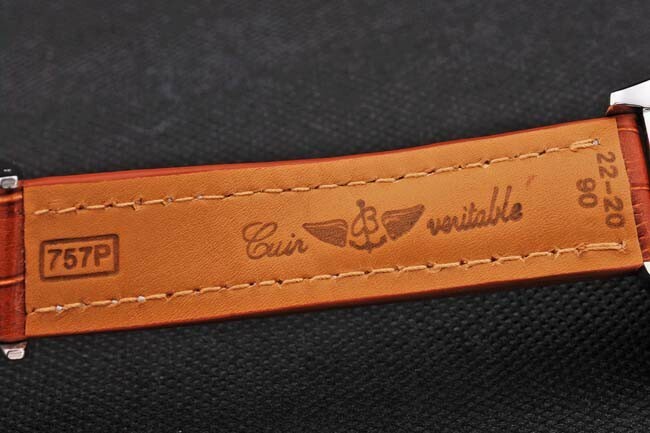 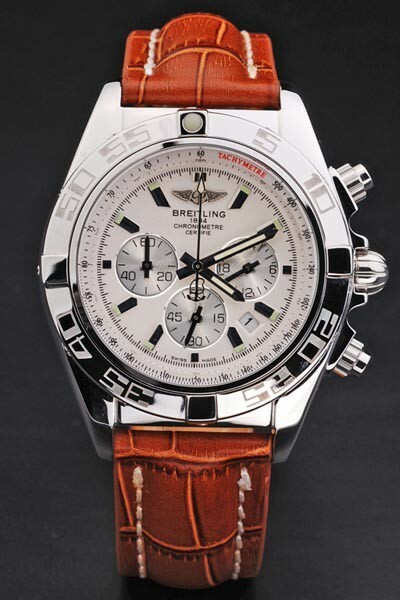 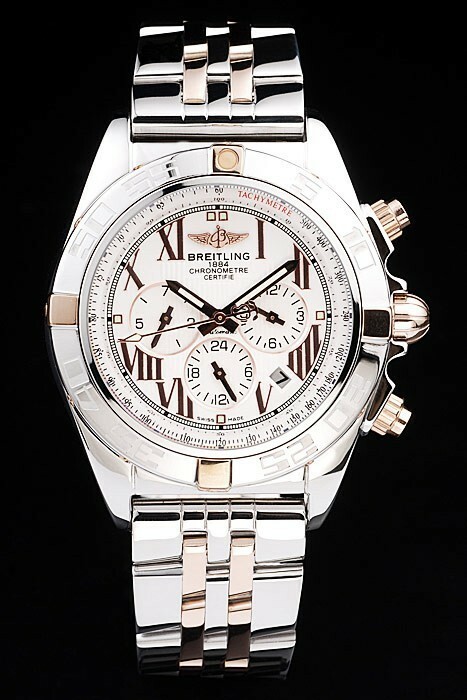 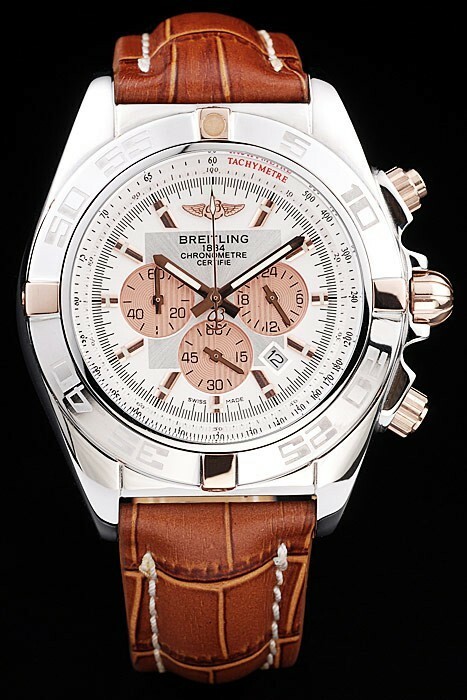 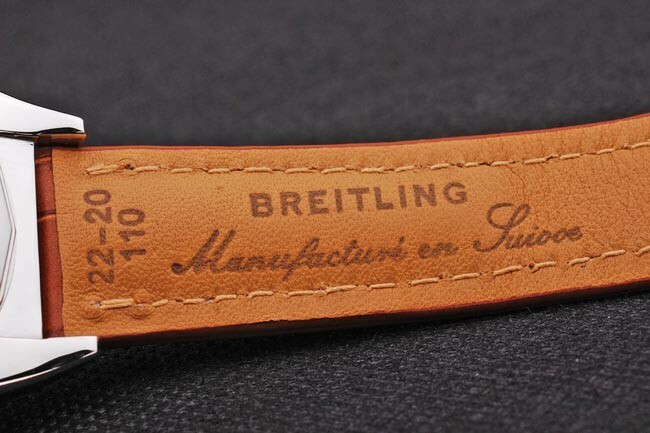 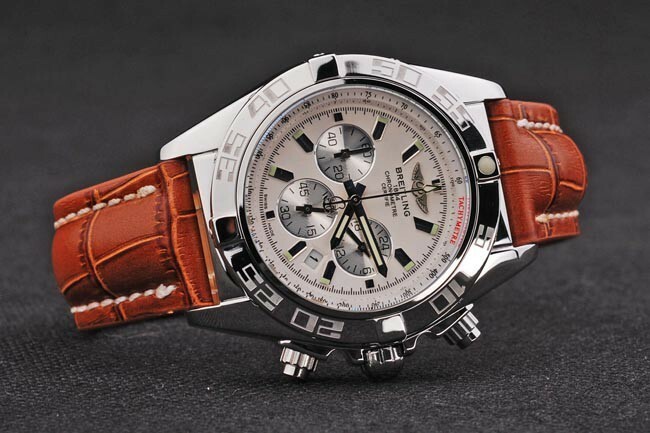 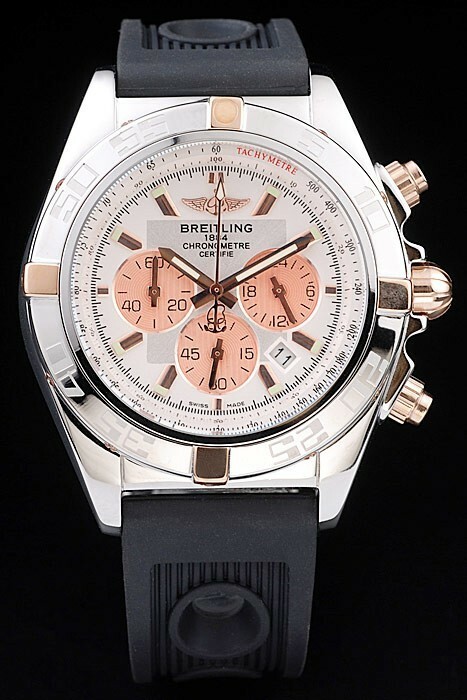 Inner band is embossed with the Breitling name and logo, and has a steel buckle closure. 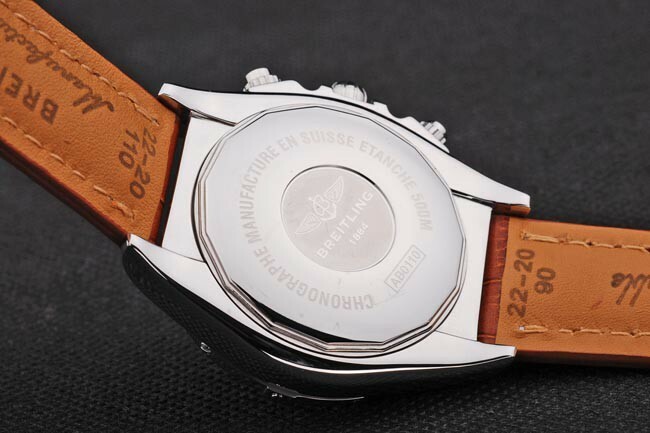 Bezel: Solid 440-grade stainless steel with etched numbers indicating seconds. 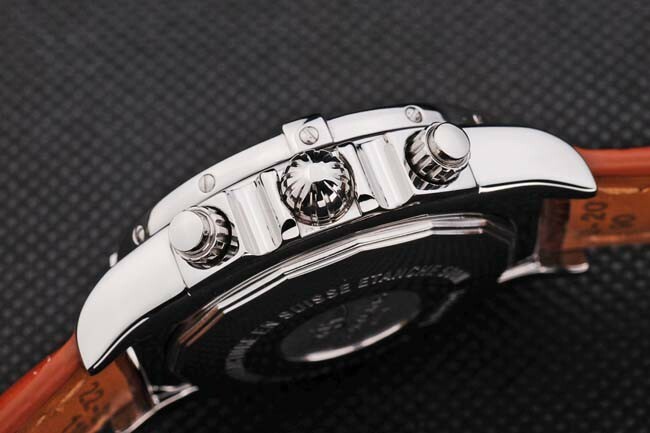 Crown: One piece solid screw-down crown.